The content business model consists of the collection, selection, systemization, compilation (packaging) and delivery of content on a domestic platform. 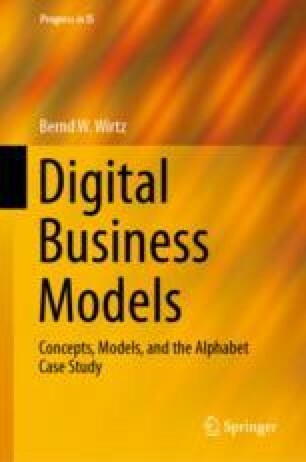 The aim of this business model approach is to make content accessible to the user over the Internet in an easy, convenient and visually appealing form (Wirtz and Kleineicken in Wirtschaftswissenschaftliches Studium (WiSt) 29:628–635, 2000). Section 4.1 provides an overview of the content business model in general.